Learning how to use the correct cycling pedalling technique can help you ride faster, climb better and avoid injuries. Few riders actively focus on improving their pedalling technique, so working on pedalling efficiency could help you drop your climbing partner on the next climb! Using pedalling drills and mental cues to improve your pedalling technique is an easy way to climb more smoothly. 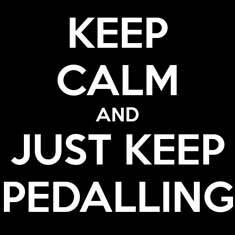 Pedalling is a great cycling skill to work on during indoor training sessions.